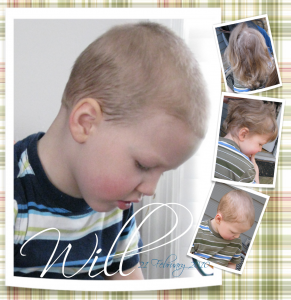 Well, our youngest has lost all his curls – but I haven’t! Will wanted a haircut like Patrick’s, so mom and dad finally gave in on haircut day. I kept the curls, though – they’re all safe in a Ziploc that’s going to stay with me for a long, long time. What a cutie! 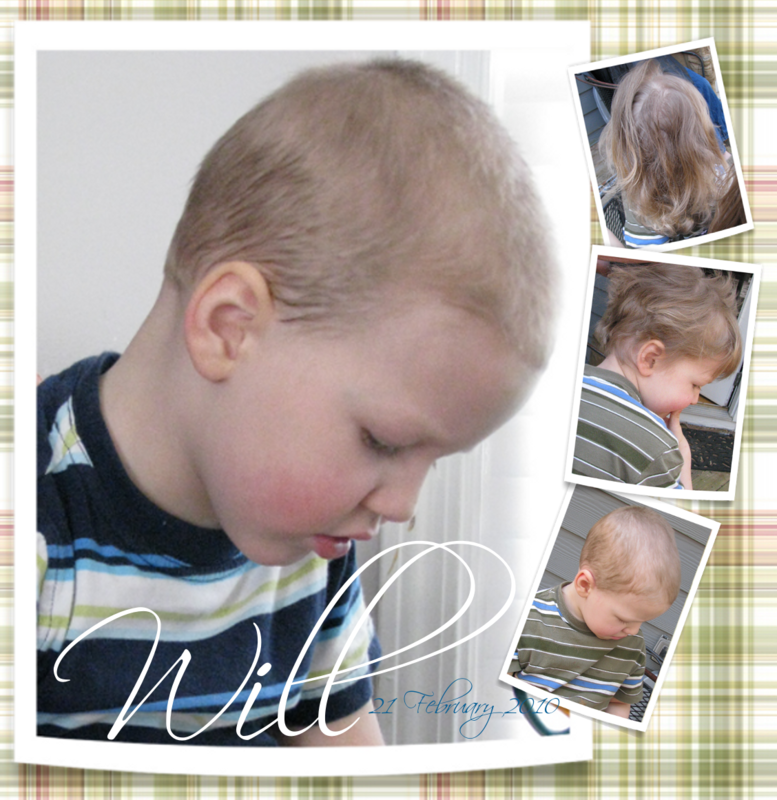 Patrick was so happy to have someone else’s head to feel – he chased Will down to pet him. What do you think, Aunt Paula? Will is a big boy now. Very cute, you won’t have to brush it for awhile.